In the news, the National Retail Foundation sends a letter to the President asserting ways to improve network security, and an article questions whether retail data breaches are slowing mobile payment adoption. According to the National Retail Foundation, there are six ways that President Obama and Congress can work together to improve network security, which the organization outlined in an open letter directed to the President. 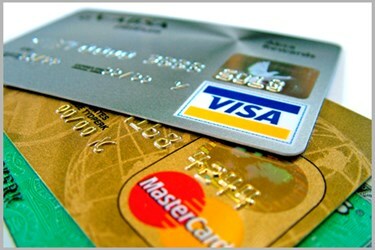 The NRF proposes: debit fraud protection akin to credit fraud protection, chip-and-PIN cards rather than signatures, point-to-point encryption of payments from the initial swipe to the completion of the payment, creating non-sensitive tokens for paying so information obtained by hackers would be useless, continue to support laws requiring national notifications of breaches and supporting/passing legislation that would help investigate and prosecute cybercriminals. According to PYMNTS.com, there is one reason why mobile payment isn’t the preferred payment option for all retailers: security. In 2014 there were 783 data breaches in the U.S. and more than 85 million customers were affected. The issue is that hackers are going after data while it’s moving. EVM or not, they’ll find a way in and will intercept the information mid-payment. For mobile payments to be most secure, they need to include EMV technology, tokenization, and point-to-point encryption. According to Gigaom, Google is testing a new point of sale (POS) software compatible with Android and that integrates with a store’s current payment processing system called Plaso (pronounced play-so). This system would enable customers to pay for products by giving their initials to the clerk at the counter. Plaso reportedly uses beacon technology to discover payment apps already installed on a customer’s phone. When the clerk receives the initials of the customer, he or she will use them to discern which local mobile wallet belongs to the customer. Beyond this, nothing is known about further verification for security purposes. There is no word on when or if this option might become available for public use. Heartland Payment Systems has acquired POS companies Dinerware and pcAmerica, building a stronger position for itself in the hospitality and retail markets. This puts Heartland in a position to offer their services to 900,000 new companies. pcAmerica is a POS solution that helps restaurants restructure and simplify inventory tracking, employee labor, customer transactions, and marketing reports. Dinerware is another POS solution that can be found in a plethora locations in the restaurant market from casinos to fast casual restaurants. Heartland, Dinerware, pcAmerica and Heartland’s other holdings together will create Heartland Commerce to provide the leading option in POS solutions, payment processing and other business solutions. According to CNET, Samsung’s purchase LoopPay, suggests the company will soon launch a competitor to Apple Pay. While no finer details of the purchase have been released, the transaction is said to come from an existing relationship between the two companies. LoopPay’s technology allows it to work with about 90 percent of pre-existing POS terminals unlike Apple Pay, which requires retailers to update their systems to be NFC capable. In addition to the “ease” of LoopPay versus Apple Pay, LoopPay does not solely work with credit cards as Apple Pay does. One can load his or her gift cards and store loyalty cards, a feature Apple Pay does not offer. It is unknown at this time whether or not LoopPay will still work with iPhone or if it will be strictly Samsung loyal from this point.